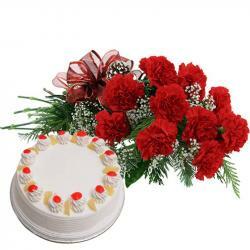 Product Consists : Bouquet of 25 Red Roses along with 1/2 Kg Pineapple Cake. 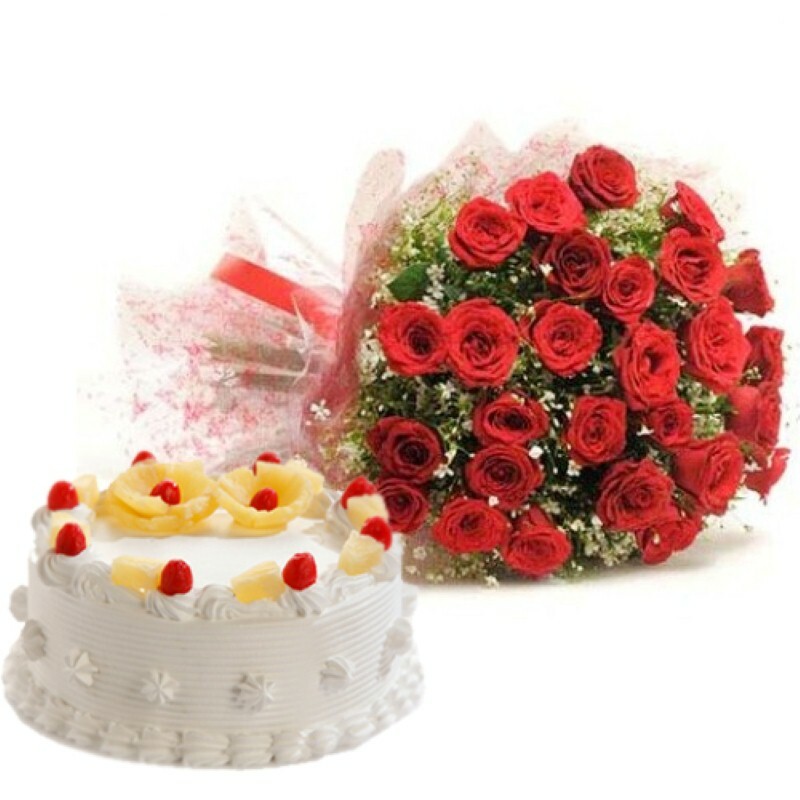 Pleasing and Classic bouquet of fresh red roses and delicious Pineapple Cake is the best Valentines Day gift hamper for surprised your love. Red Roses is the best gift to convey your deepest thoughts and emotions. 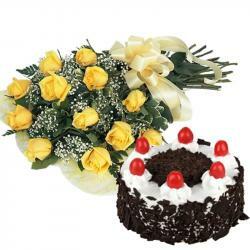 It is best and easiest way to express your love along with cake make her feel special. We ensure they will enjoy the juicy and creamy treat of pineapple cake. This hamper will mesmerize your special person in India with its sheer elegance. So, go ahead and buy this hamper for your love one in India. 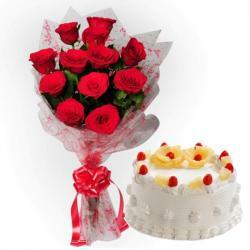 Product Includes : Bouquet of 25 Red Roses along with 1/2 Kg Pineapple Cake.